Spring is one of my favorite seasons and this year I decided that I needed a new bag to celebrate it! 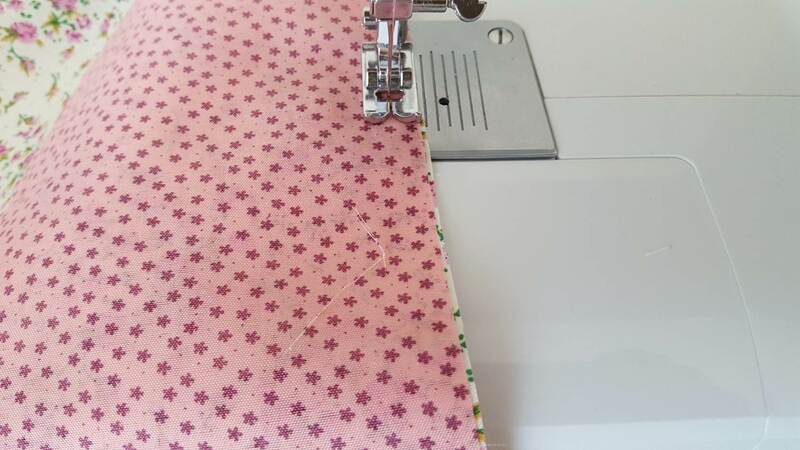 I'd been toying with a pattern for a while, wanting it to be cute, but at the same time functional and really easy to make. Well, I'm finally ready to reveal my new 2016 Spring Bag! This is the perfect bag for spring weekends spent at the park (or at the beach). It easily carries my wallet, cell phone and keys, and still has enough room to add the book I'm currently reading or my latest crochet project. I made a small tutorial, in case anyone wants to replicate the process. It's not very detailed, so if you're trying to make the bag and have any questions, just leave me a comment or send me an e-mail. 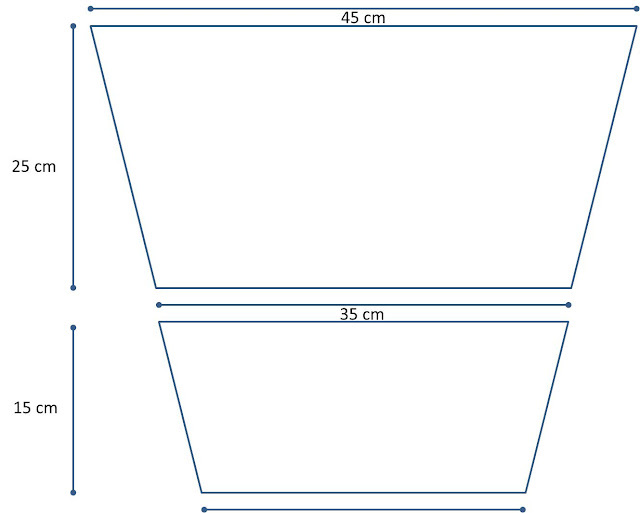 To make the bag larger or smaller you just need to adjust measurements proportionally. 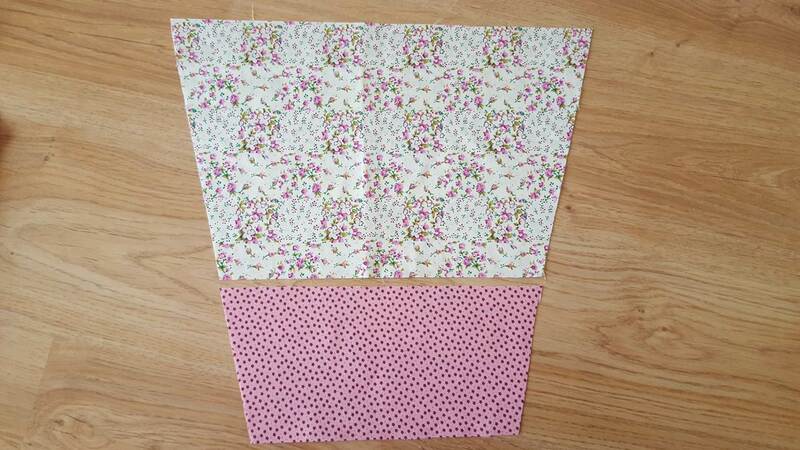 Use these pieces to cut the lining and the batting (two of each). 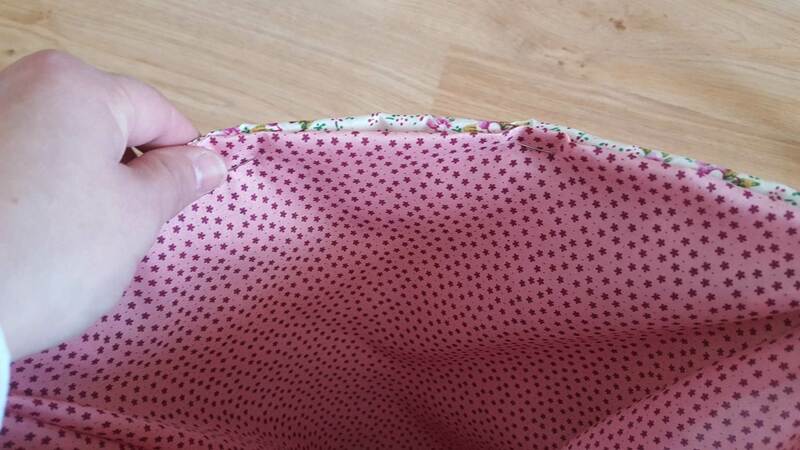 For the lining I used only one fabric, not two, so the lining does not have a seam in the middle. Also, when you cut the batting, you should shorten the top by about two centimeters. 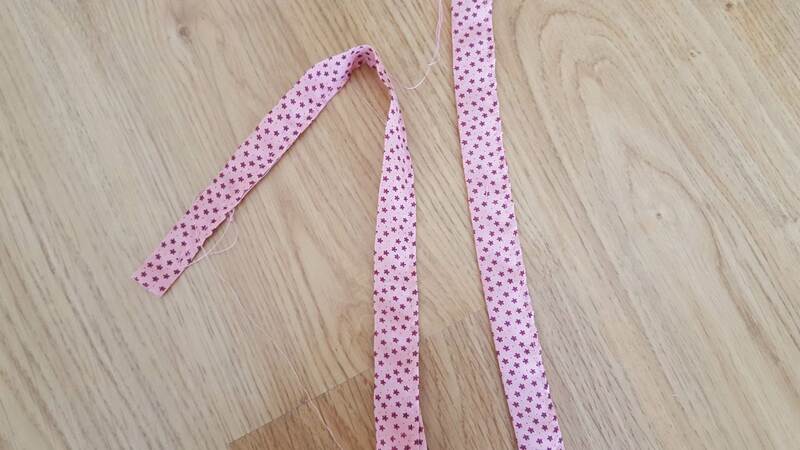 Sew down the sides and the bottom of the bag. 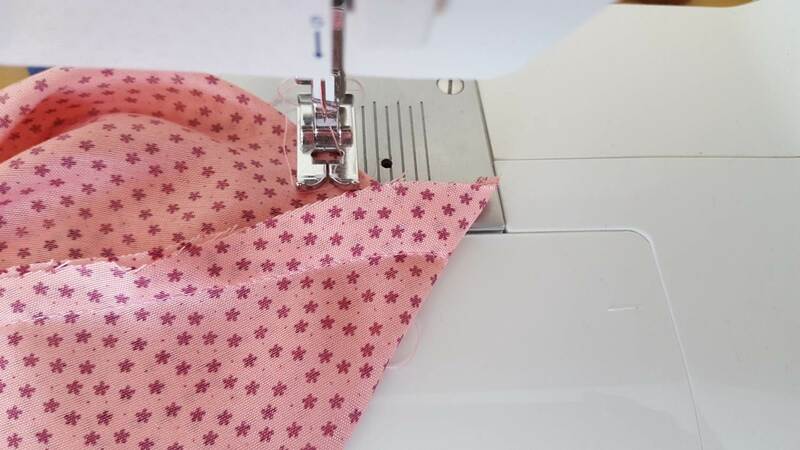 Before turning it inside out, sew a triangle on each of the bottom corners, and cut off excess fabric (the triangle can be smaller or larger depending on how large you want the bottom of your bag to be. Mine measured about 4 centimeters from the edge). 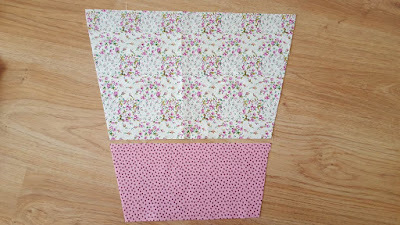 Place the lining pieces right sides together, and sew the sides and the bottom too. 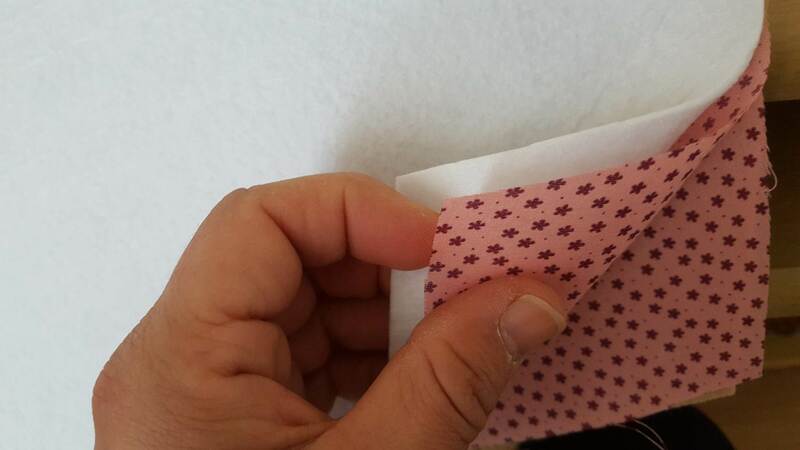 Do the same to the bottom corners (one triangle off each side) and turn inside out. I did not add a pocket to the inside of the bag, because I rarely end up using the pockets anyway, but if you want to add one follow the instructions for the pocket found in step one of this tutorial, and sew it in place before sewing the two lining pieces together. 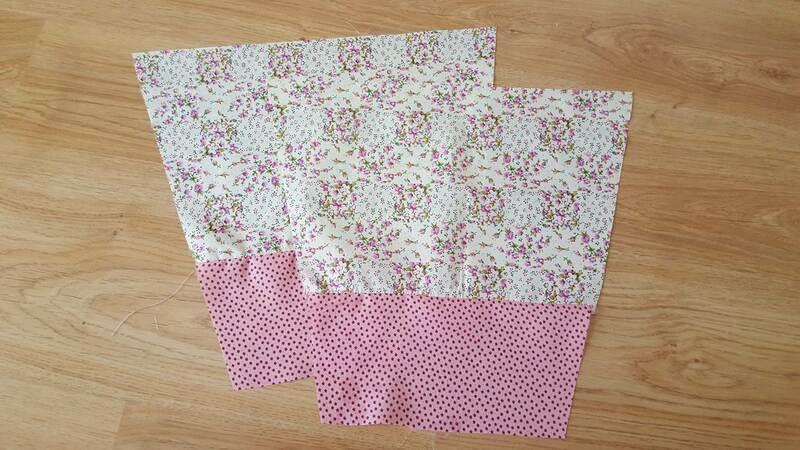 The handles are made with two strips of fabric (about 40 x 8 centimeters each), folded bias-tape style and top stitched. 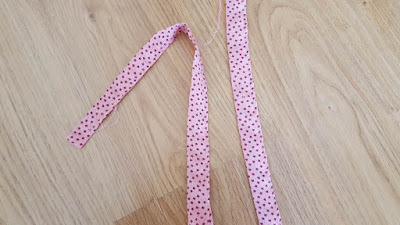 I'm terrible at making handles, so this is the method I'm most comfortable with, but if you want to do things right, you should sew them right sides together, turn inside out, press and then top stitch on both sides. Pin the handles in place, in between the exterior and lining layers (you may need to move some of the pins you put around the top of the bag before). Once you're OK with the placing of the handles, top stitch all around the top of the bag. Remove all the pins and you're done! 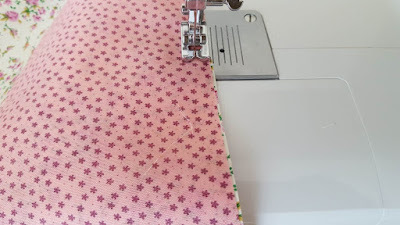 I'm very happy with this pattern, because it comes together pretty quickly with minimum hassle, it doesn't use up a lot of fabric and it allows me to create some pretty, colorful bags just in the right size. Just perfect to enjoy spring! love it -both pattern and fabrics! The bag is so cute. And so easy to make. It is. It took me a while to come up with it to make it as easier as possible, but I'm very happy with the result. Thank you for stopping by! I wish I could see! I love your pretty spring bag you made! This is so cute, Teresa! I do sew and use to make purses and totes but haven't in quite some time....you've reminded me how much fun they are to create! I'm here from Dee at Merry Monday. 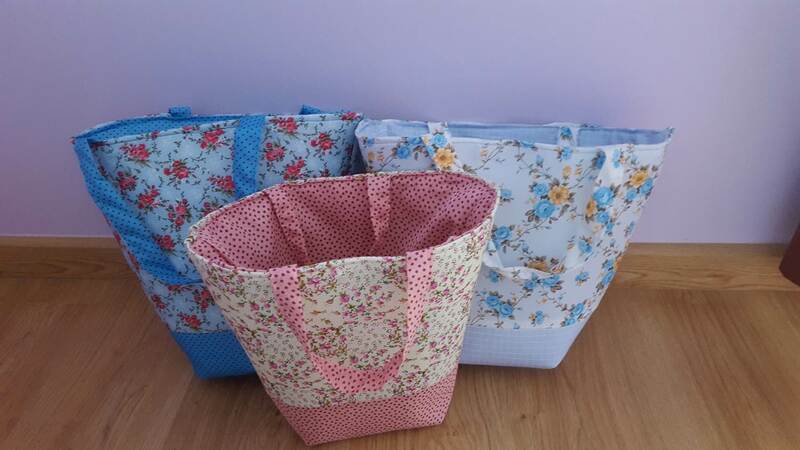 Thank you Carol, yes bag making is wonderful! Thank you for stopping by! Super cute, Teresa! I'm not much of a sewer but this looks pretty simple; I think I could follow! Thank you! If you try it out, let me know how it goes! And thank you for the feature! Thank you Chris! I had a lot of fun making these bags, and now that I've given two of them away, I'm thinking I need to make some more for me! Have a wonderful weekend! Oh I love the colours just perfect for spring. Thank you for sharing with us at #OvertheMoon. Thank you Amber! Have a wonderful weekend! What a gorgeous bag - and definitely shouts out spring! Thank you. Good luck if you make one, let me know how it goes! Pinned it and would love to try to make one! Thank you so much for sharing with us at the Merry Monday party. We look forward to seeing your tutorial projects and recipes at the new party beginning tonight. Thank you Shirley! Let me know if you ever make one! I love your colors and I am addicted to totes! Thanks for sharing your post with Creatively Crafty Link Party #CCBG. Hi Teresa! Thank you for sharing this post with my NO RULES Weekend Blog Party! I have chosen it as one of my Monday Special Features! Thank you so much Paula! I've been a terrible blogger this week, but I've managed to go by and check all your features now! Thanks for sharing this great tutorial with SYC. I can think of a lot of fun ways to use such a bag. What a cute bag! Thanks for sharing it with us at #FridayFrivolity this week! Super creative. 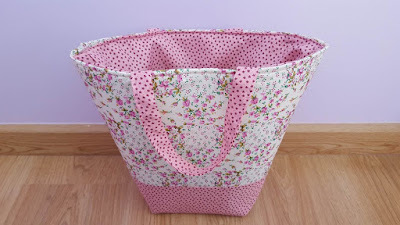 I am not that good at sewing but wish I could make something like that. Thanks for linking up at #bloggerspotlight, I pinned this to our group board. Don't forget to link up again on Thursday night. Crafty is always good for your health and mind. Thank you for sharing on Let's Get Real Party. 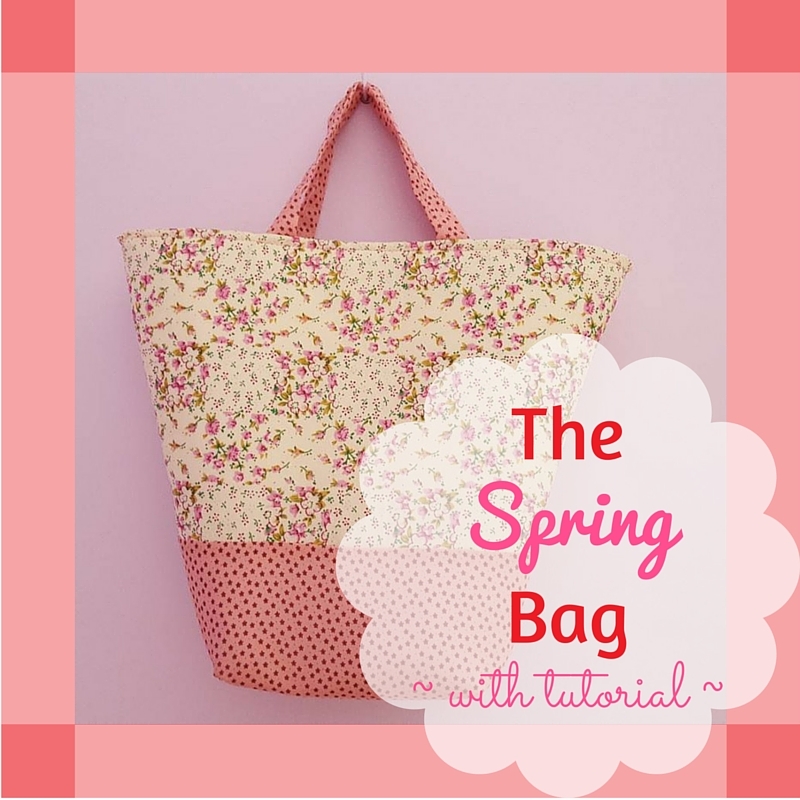 What a great looking bag & a great tutorial!! Thanks for sharing on My 2 Favorite Things on Thursday!! Hope to see you again tomorrow!! Pinned!! Thank you Elaine! I'll be there for sure! Such a cute bag! Thanks so much for sharing with the Let's Get Real party. Thank you for stopping by! Happy Thursday! Thank you Michelle! But it really is easy. Unfortunately I don't have time (and often, patience) for complicated projects! Thank you so much for sharing it with us at #sweetinspiration, I hope you enjoy the rest of the week! Pili, I honestly don't know if it's the same, but it's batting you can sew over, that's for sure. I guess it's similar to that used for quilting, as far as the craft store tells me (I checked, LOL)! Teresa, love, love these bags you've made!! I'm under the impression that you can never have too many bags. 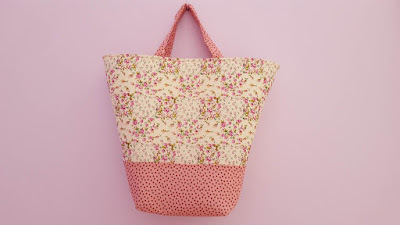 ;) I just might have to work up the courage and make myself one of these lovely bags. Thanks so much for the how-to. I only kept one of them, but I definitely want to make more! Let me know if you give them a try! Thank you for the pin, and thank you for stopping by!